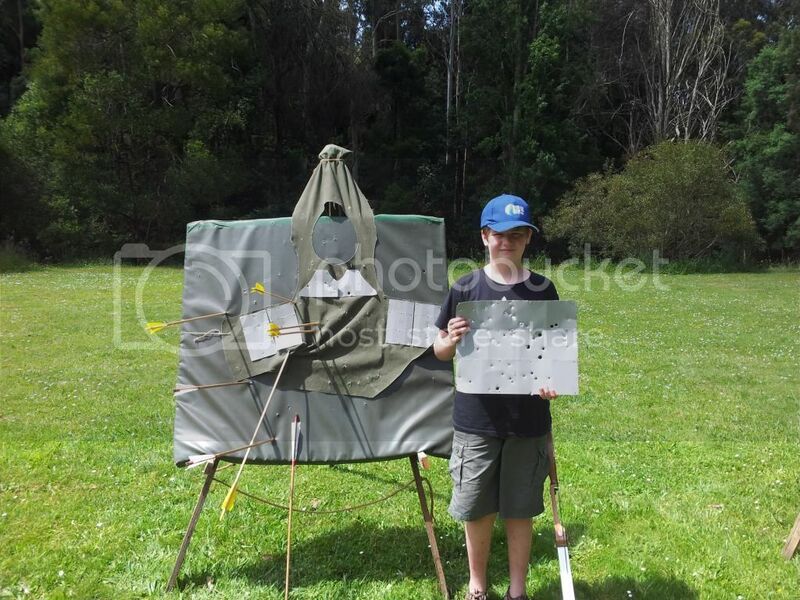 Leongatha Medieval Society :: View topic - End of year shoot and awards. End of year shoot and awards. Posted: Sun Nov 25, 2012 6:11 pm Post subject: End of year shoot and awards. Today was our last day of archery for the year, It was a great day had by all. Numbers were down (This is the case of late) but all members who took the time to show up for the club had a fun day. There was no scoring today, just heaps of fun. 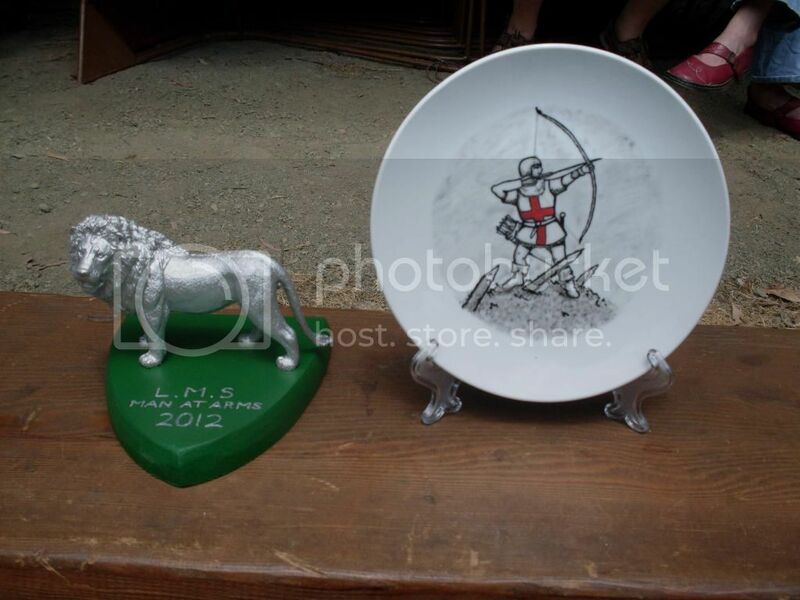 Awards for best LMS Fighter and Archer of the year were awarded to Dean (fighter of the year) and Barb (archer of the year). Both awards were very close and the archery award came down to just a few arrows. 2n 3rd and 4th for the fighting was a draw. You dont get any closer than that. As it turns out Dean was second with the bow as well so a big cheer goes to our club president. Barb stuck it out all year with a wooden bow and arrow and in the end she won well. (great to see a longbow come through with a overall win ). With luck in the next few days i will post the award photos. (shot on a different camera). What i did get was a photo of a coat of plates i made for armour/warbow demonstrations. We hammered this coat of plates with all sorts of different weight bows just for fun. Hey Folks, as Robbie points out above it really was a great (and very relaxing ) day. It was great to have Oberon and Alex join our archery group and to see Eric return in great form. The weather was amazingly perfect and I even took delight in ditching my gumboots for a pair of flip-flops! I have to say a special 'thanks' to Trissy whom provided her amazing talent in hand painting the Archer of the Year Award. It is by far the best award I have ever recieved. And thats got nothing to do with why I won it!! Robbie and I will get photos up tonight so you can see why I am so stoked about it. I wish you all a very lovely festive season and you all have a great summer break. See you all in the New Year of 2013, Silverlady. Man at arms and acher of the year awards!